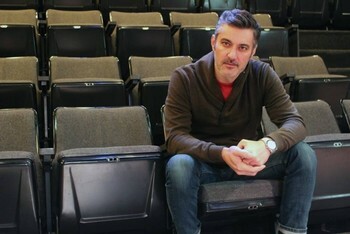 DALLAS, TX: A six-month national search conducted by the Board of Directors of Theatre Three has resulted in the naming of Dallas-based director-designer-actor Jeffrey Schmidt as the theatre-in-the-round’s new artistic director. Schmidt will assume the position on January 1, 2017. An accomplished actor, director and designer, Jeffrey is well-known in the Dallas-Fort Worth theater community. His extensive career includes over 20 years of experience in directing, performing, creating and promoting live theater. He has worked with several Metroplex theater companies including Undermain Theatre, Dallas Theater Center, MoonWater Theater Company, The Drama Club and 13 years as an artist-in-residence at Theatre Three. He has been recognized for his work, receiving numerous honors and awards from critics and publications including D Magazine, Theater Jones, Dallas Observer, The Dallas Morning News, Dallas Voice, The Column Awards and DFW Theater Critics Forum. Theatre Three audiences will likely recognize Jeffrey from his recent critically-praised portrayal of Ethan in The Novelist last fall. Further, he is directing the next Theatre Three Main Stage production – Laugh by Beth Henley. The national search attracted nearly 100 candidates from across the country and was led by Theatre Three Chairman of the Board Scott Williams and a sub-committee of the board. The naming of Schmidt as artistic director comes a year and a half after the passing of Theatre Three co-founder, executive producer and director Jac Alder. The national search was part of the succession plan that Mr. Alder laid out for the theatre. Director and designer Bruce R. Coleman assumed the role of acting artistic director upon Mr. Alder’s passing on May 22, 2015. Theatre Three is in the middle of its 55th season. The season continues with the aforementioned Laugh, a new comedy by Pulitzer Prize winner Beth Henley; the Tony Award-winning musical Passing Strange; a 1940s comedy-drama Susan and God by Rachel Crowther; and Stephen Sondheim’s Tony-winning best musical A Little Night Music. For more information about Theatre Three, visit www.theatre3dallas.com.